He's accused in Washington of financial crimes including conspiring to launder money. 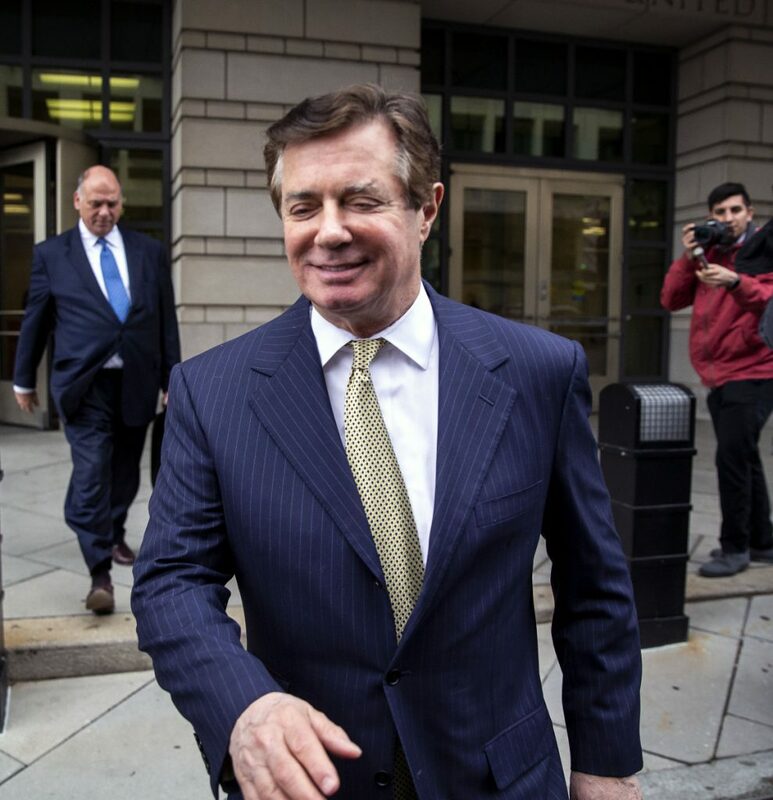 NEWARK, N.J. — Paul Manafort’s lawyers have talked to U.S. prosecutors about a possible guilty plea to avert a second criminal trial due to begin in Washington this month, according to a person familiar with the matter. Manafort, President Trump’s former campaign chairman, was convicted of bank and tax fraud last month in a Virginia federal court. He’s accused in Washington of financial crimes including conspiring to launder money, as well as acting as an unregistered foreign agent of Ukraine and obstructing justice. The negotiations over a potential plea deal have centered on which charges Manafort might admit and the length of the sentence to be recommended by prosecutors working for Special Counsel Robert Mueller, the person familiar with the matter said. Manafort, 69, already faces as long as 10 years in prison under advisory sentencing guidelines in the Virginia case. By pleading guilty, Manafort could avoid the risk of a longer prison term if he’s convicted at a second trial, as well as the threat of forfeiting several properties and financial accounts. He could also save the cost of paying lawyers to defend him at trial. Such white-collar criminal cases can cost defendants millions of dollars. The talks may break down without a deal, but if they succeed, they could prompt Mueller to request a reduced sentence in the Washington and Virginia cases. It’s not clear whether Manafort might cooperate in Mueller’s investigation of Russian interference in the 2016 election, according to the person. Trump, who said he was “very sad” after Manafort’s conviction, could still pardon him. If Manafort doesn’t plead guilty, prosecutors are likely to use some of the same evidence and witnesses they presented in Virginia. Manafort was convicted there on Aug. 21 after four days of jury deliberations. During those deliberations, prosecutors and defense lawyers discussed a plea deal without success, The Wall Street Journal reported, citing unnamed people. Manafort was found guilty of eight counts, and jurors failed to reach a verdict on 10 others. Only one of the 12 jurors opposed a conviction on those charges, according to their verdict sheet. Manafort’s conviction in the first trial gives leverage to Mueller in any plea talks, lawyers not involved in the case said. Manafort has been in custody since June 15, when U.S. District Judge Amy Berman Jackson revoked his bail after prosecutors said he tried to tamper with witnesses in the Washington case.